We are Tulsa’s most gentle and complete wildlife service! We provide wildlife solutions for the greater Tulsa area. The cities we service include, but are not limited to, Bixby, Broken Arrow, Catoosa, Collinsville, Coweta, Glenpool, Jenks, Mounds, Owasso, Sand Springs, and Sapulpa. A All Animal Control is your local wildlife experts and are commonly called upon to control Armadillos, Bats, Birds, Beaver, Cats, Coyotes, Chimney Swifts, Chipmunks, Deer, Fox, Geese, Gophers, Groundhogs, Mice, Moles, Muskrat, Opossum, Pigeons, Pocket Gophers, Rabbits, Raccoons, Rats, Skunks, Snakes, Squirrels, Sparrows, Starlings, Swallows, Turtles and Woodpeckers. We specialize in the removal of squirrels, raccoons, skunks, bats, and mole. Proudly serving the greater metropolitan area of Tulsa and Broken Arrow, Bixby, Jenks, Owasso, and surrounding communities. We also service the city, cities and towns of Avant, Bartlesville, Beggs, Bixby, Boynton, Braggs, Bristow, Broken Arrow, Catoosa, Claremore, Colinsville, Coweta, Depew, Drumright, Glenpool, Haskell, Hoffman, Inola, Jenks, Kiefer, Mounds, Muskogee, Morris, Ochelata, Okay, Okmulgee, Oktaha, Oologah, Osage, Owassa, Porter, Ramona, Sand Springs, Sapulpa, Shamrock, Skiatook, Sperry, Taft, Turley, and Wagoner. Also Green Country, North East Oklahoma, Grand Lake, South Tulsa and Midtown. The county or counties that A All Animal Control services are Creek, Muskogee, Okmulgee, Osage, Rogers, Tulsa, Wagoner and Washington. 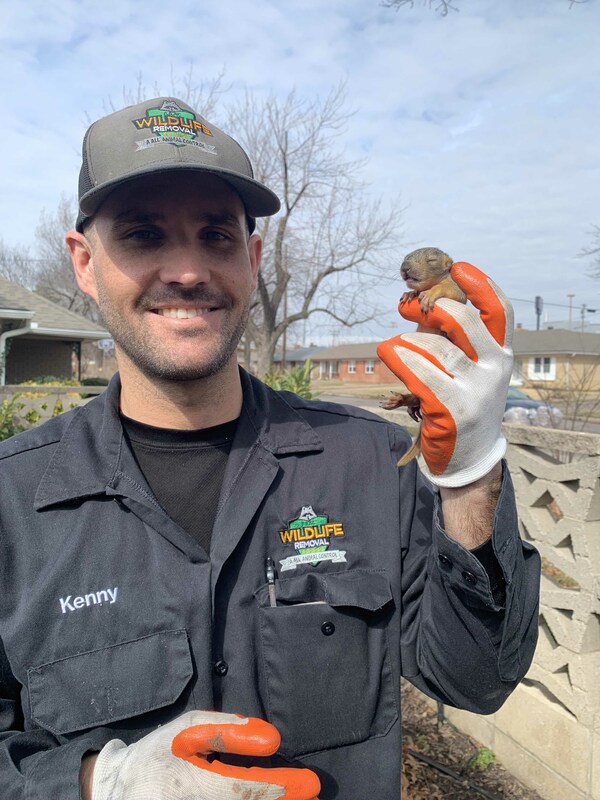 A All Animal Control, a Nuisance Wildlife Management company is a leader in providing wildlife, animal and pest control services for residential, industrial and commercial clients in Tulsa and Broken Arrow, Oklahoma and surrounding communities. We can handle any wildlife control problem from mice to deer and provide incredible service while using the latest technology and equipment. To control wildlife requires a qualified and experienced expert to assure you of expert care of your wildlife problem. Your wildlife expert has been specially trained in the control of wildlife specific to Tulsa and Broken Arrow, Oklahoma and will take care of the problem in the most gentle and humane way possible. All wildlife experts of A All Animal Control undergo a rigorous training program for wildlife control in order to give you the most efficient and cost effective solution to your problem. Their wildlife professionals are licensed and insured for your protection and comply with all laws regarding wildlife control. A wildlife expert is just a phone call away and can often assist with your Tulsa and Broken Arrow, Oklahoma wildlife control needs the very same day. Call us at 918-201-1978 to put an end to that annoying wildlife problem and control damage wildlife causes. A raccoon, skunk, snake, opossum, groundhog or cat in a cellar can destroy the insulation and leave disease infested waste behind. An animal in a cellar may also enter the home and put the occupants at risk of being bitten. By hiring an ADC, Animal Damage Control, Animal Damage Control Agent, MAPAC, Problem Animal Controller, NWCO, Nuisance Wildlife Control Operator, Wildlife Management Experts, Wildlife Management Professional. AAAC Certified Wildlife Professional or Wildlife Management Pro, you ensure a professional will be controlling, removing and will get rid of or eliminate the wildlife problem and find the best wildlife solution for the animals that are affecting you. If you find a tunnel, mound, run or mole holes, this is evidence that moles are actively working the yard creating this damage. Mole traps are the preferred control method to remove moles and return your lawn to its pristine condition. hazardous waste, guano, droppings, feces, urine and poop. A thorough cleaning is important to protect your family from diseases.